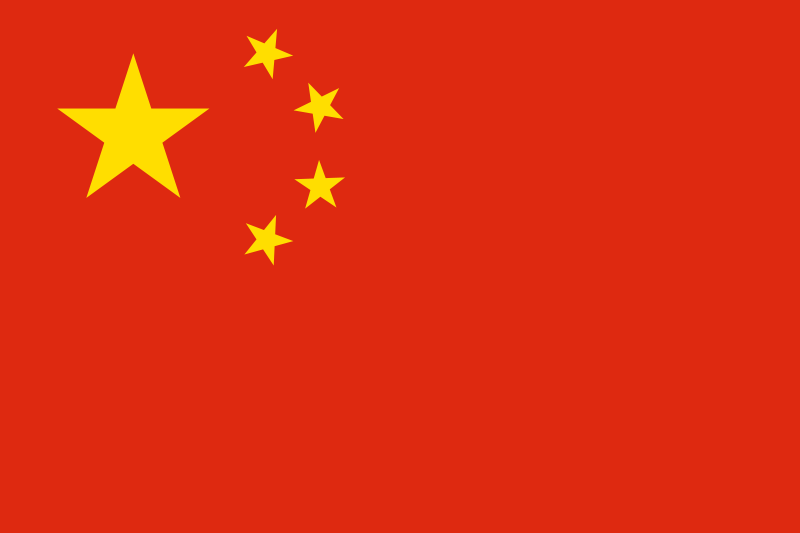 A postcard from China, received through official postcrossing from postcrosser Allan. 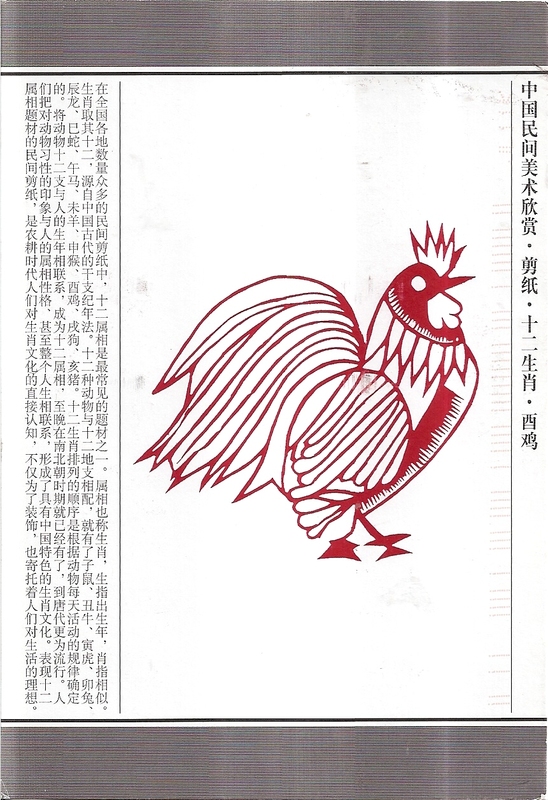 The postcard shows a rooster window decoration. At the back, Allan affixed one cartoon stamp and three flower stamps. 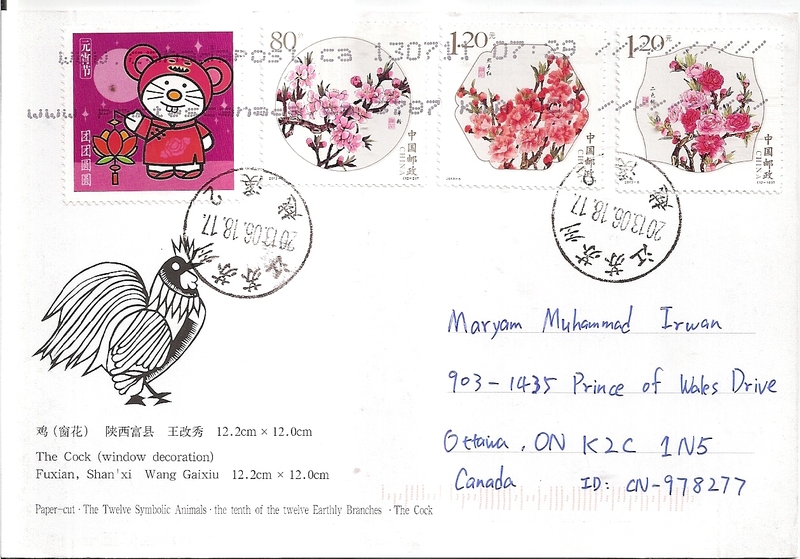 The postmark date is 18 June 2013, and there is also machine cancellation by Canada Post with date 11 July 2013 and location Ottawa. Thanks a lot Allan!